Welcome to the Fourth Issue of the LOA Haven Ezine. The Law of Attraction Haven brings you the latest addition to our Free PDF Books page - The Life Triumphant by James Allen. You will see this book arrive on our Free PDF Books page on May 31, 2017. James Allen tells us that we live in our own individual, mental world. He believes this mental world can be perfect, free from everyday hardship, and can be found by controlling our own thoughts. This book, published in 1908, is claimed to be the most powerful and inspiring of Allen's works. If you are looking for encouragement in the fields of personal development and self improvement, this book will guide you to shrug off the sorrows and sins of life and turn your face to the wonder and joy that is your birthright. These links will open into PDF files. James Allen encourages us to redirect our thoughts and use the energy within us to create a new consciousness. An easy was to do this is through the self control of our own minds - or self hypnosis. Hypnosis is natural, the mind and body relax deeply, while the mind remains acutely aware. It is no different to meditation. All hypnosis is self hypnosis. No one can control your mind without your permission. Only you can choose to enter into a calm state (or not) through the use of your brilliant mind. Not one other person on this planet can make you feel anything. You are solely (soul-y) responsible for this. If, as a species, we could all understand and practice this we would live in a far more peaceful and compassionate world. 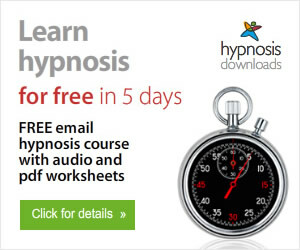 You can read here the Reassuring Reasons Hypnosis is Your Friend? Still unsure about hypnosis? This article on Five Hypnosis Myths Exploded may clear things up for you. I'd love to connect with you on Facebook, Pinterest, Twitter, and Google+. Just click reply and ask a question or tell me what you think - or both! I hope you have enjoyed this latest book by James Allen. You can read more free books by James Allen on the Free PDF Books page of the Law of Attraction Haven. As always, your next free book is a surprise...even to me. I am on the look out right now to discover new texts to share with you. I'll see you again in early June for another free book.